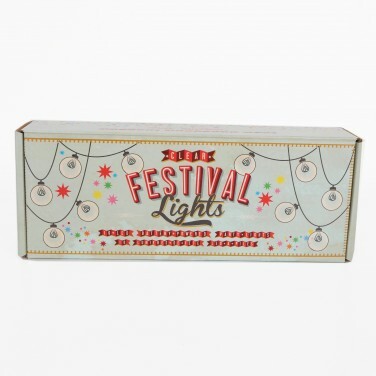 Brighten up kids rooms with decorative carnival style lighting and a warm white glow with battery operated festival lights. 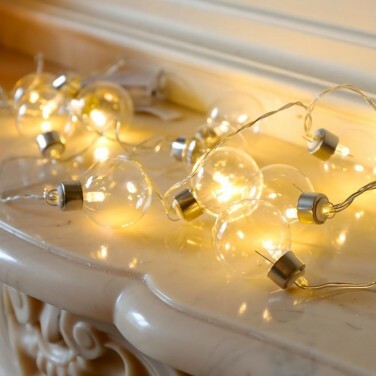 Ten clear bulbs are lit with warm white LEDs for a gentle, enchanting glow that's comforting for little ones at night. Because they're battery operated, they're not restricted by plugs and there's no trailing wires, making these decorative lights ideal for looping around bed frames and more for magical bedtime lighting. 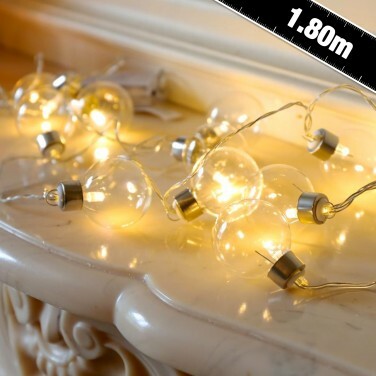 Transform your room with a string of retro bulb lights in ether multi coloured or white light.